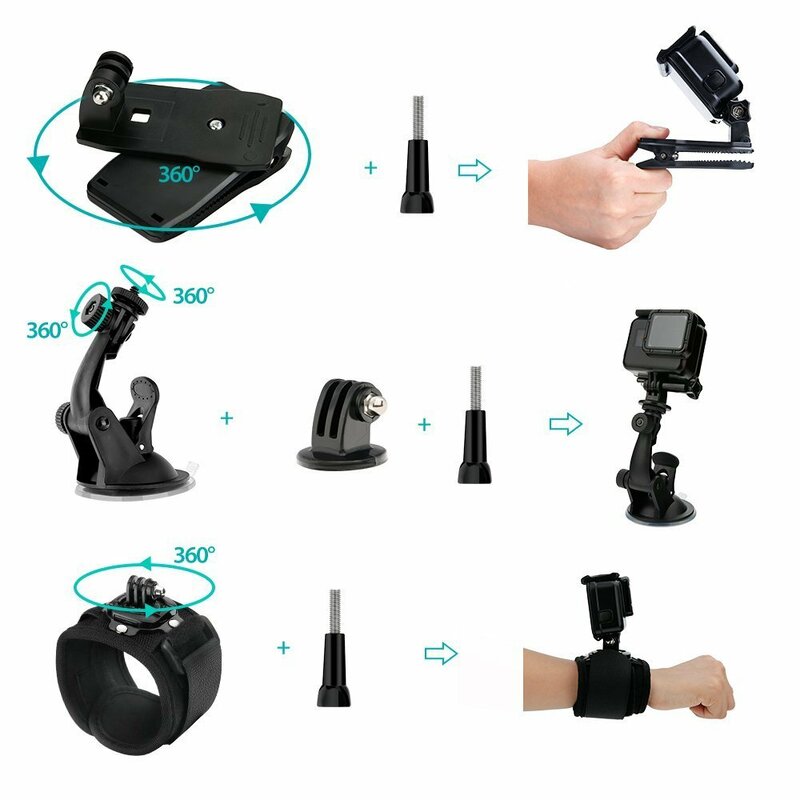 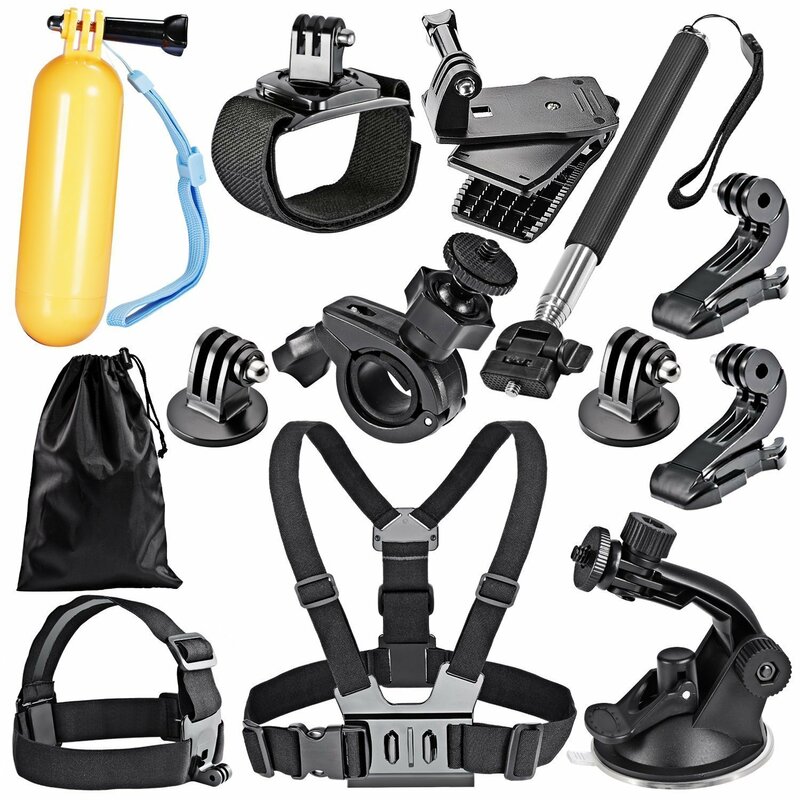 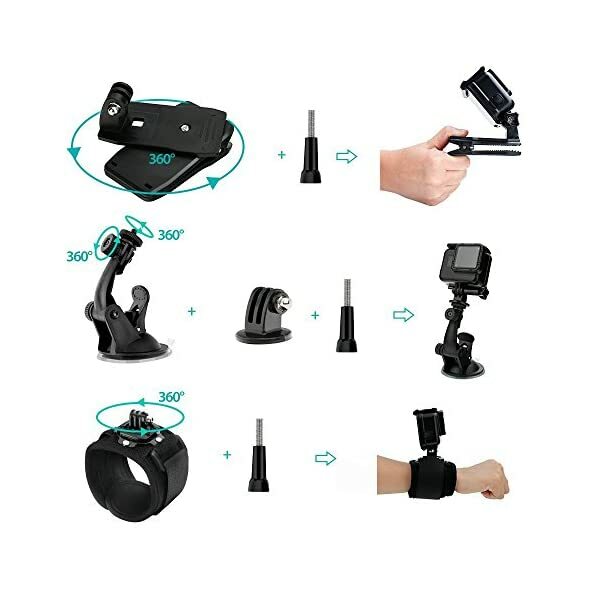 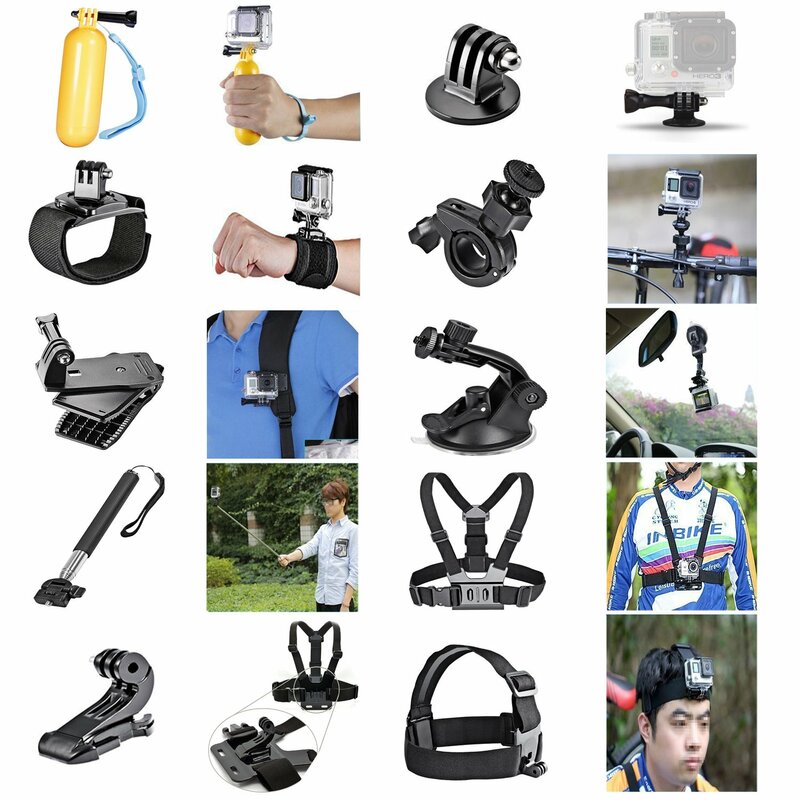 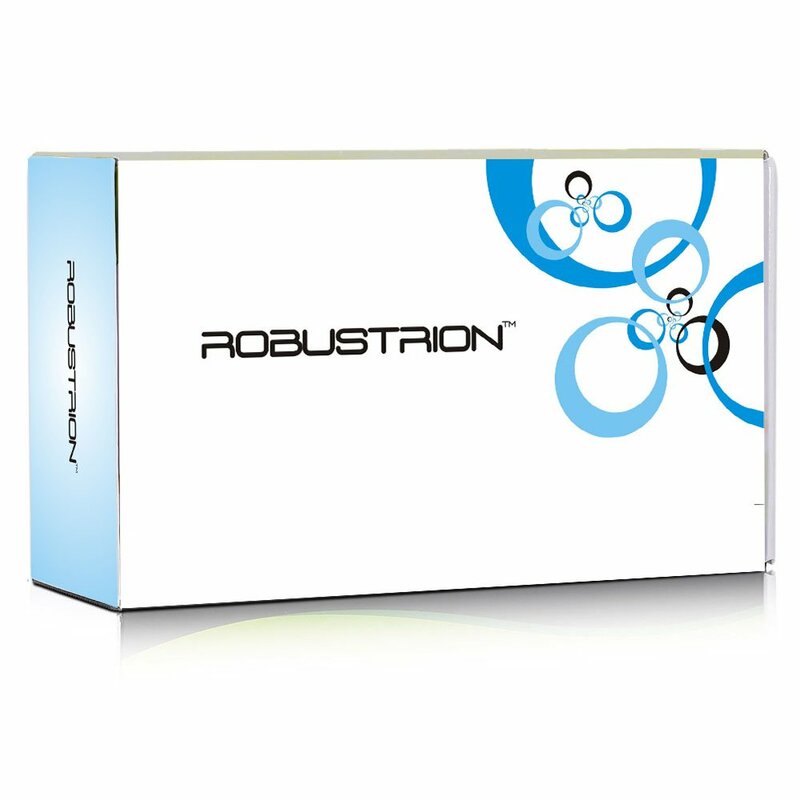 Now meet your different sporting needs with this cool set of mounts & accessories form Robustrion for your GoPro Hero 6 Hero fusion GoPro Hero 5 Hero Session GoPro Hero 4 Hero 3 Hero 2 Hero HD Hero + SJCAM SJ4000 SJ5000 SJ6000 & other action cameras, allowing you to create exciting & breathtaking moments. 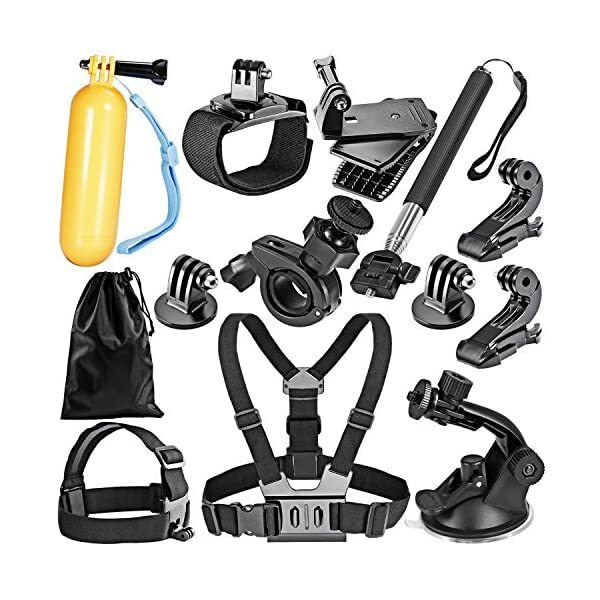 You can take it whenever or where ever you are, while diving, swimming, climbing, riding bicycle, skiing or doing other adventure sports. 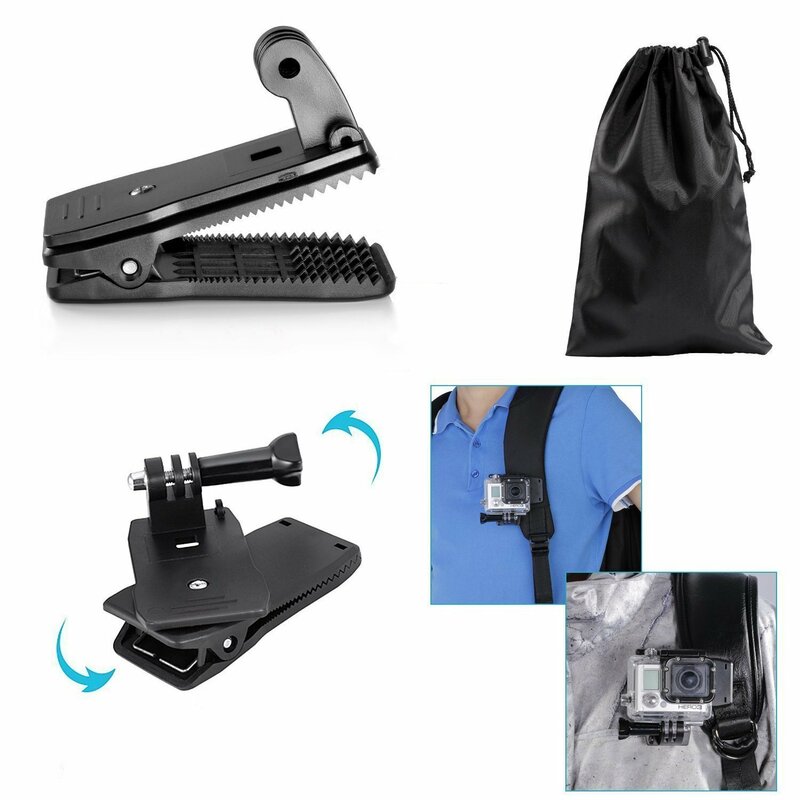 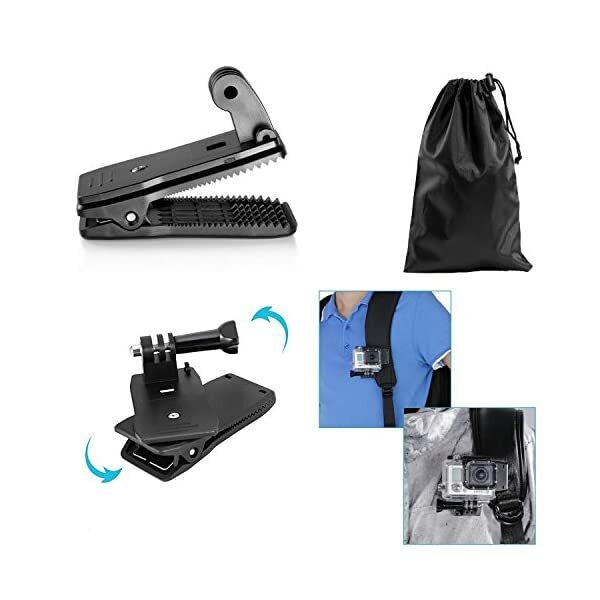 Chest Strap : Ware your GoPro Hero 6 Hero fusion GoPro Hero 5 Hero Session GoPro Hero 4 Hero 3 Hero 2 Hero HD Hero + SJCAM SJ4000 SJ5000 SJ6000 & other action cameras on your chest comfortably, with adjustable design it fits almost all shapes and sizes of jackets including heavy safety gear. 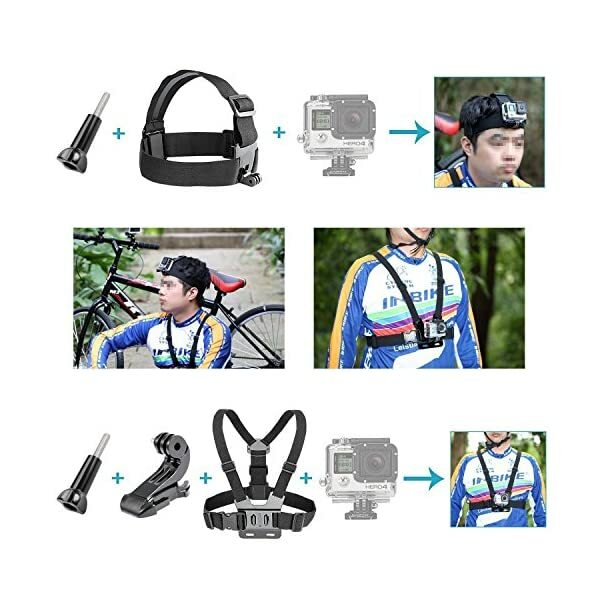 Aperfect accessory for skiing, kayaking, biking, motocross etc. 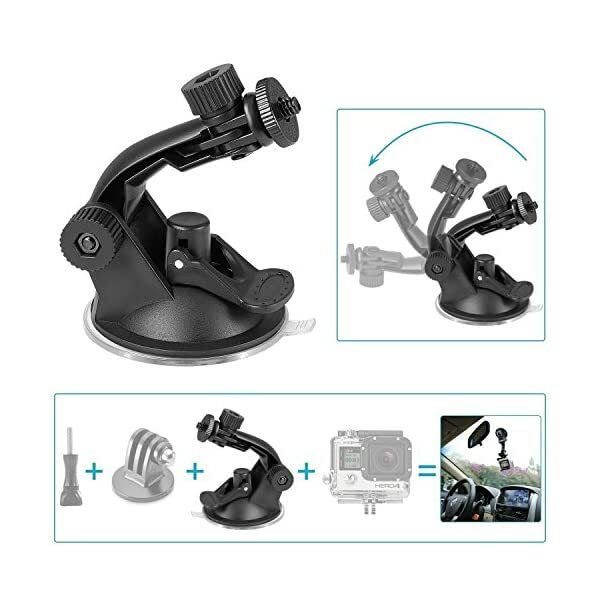 Suction Cup Mount : With this mount you can easily attach your GoPro Hero 6 Hero fusion GoPro Hero 5 Hero Session GoPro Hero 4 Hero 3 Hero 2 Hero HD Hero + SJCAM SJ4000 SJ5000 SJ6000 & other action cameras securely to your car window & record the along side scene at any different point of view. 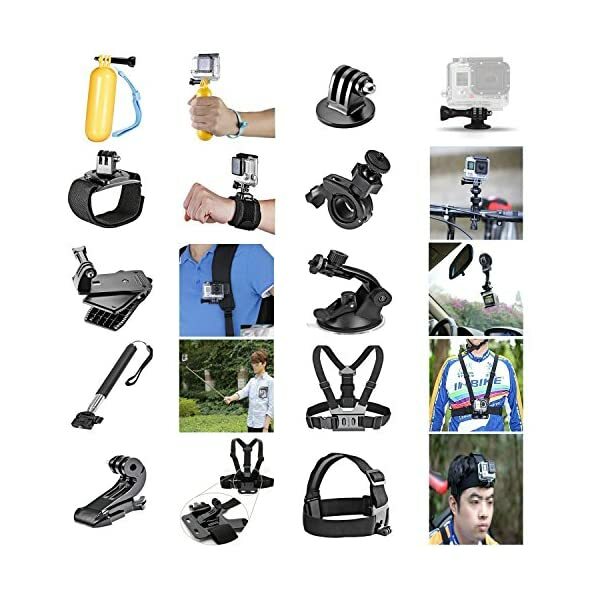 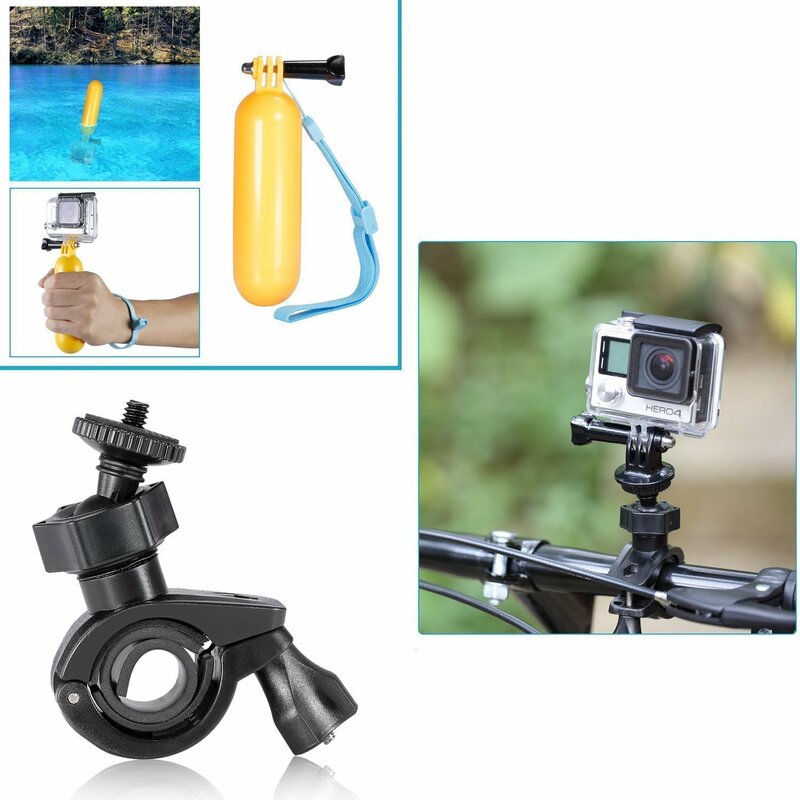 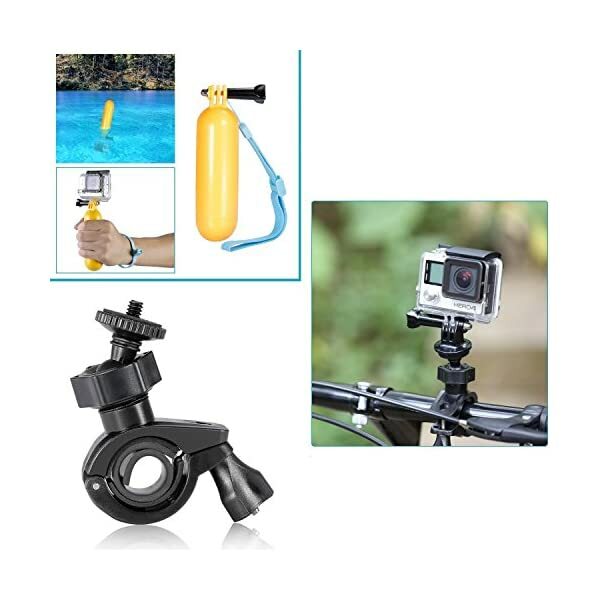 It provides you a broad range of motion and lets you enjoy adventure filming. 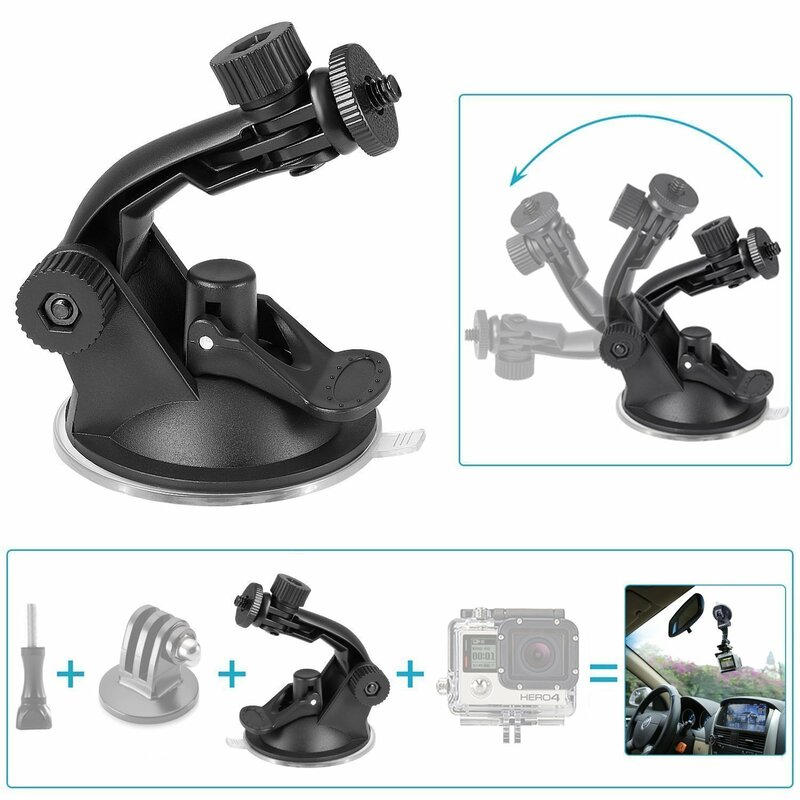 1 x Suction Cup Mount. 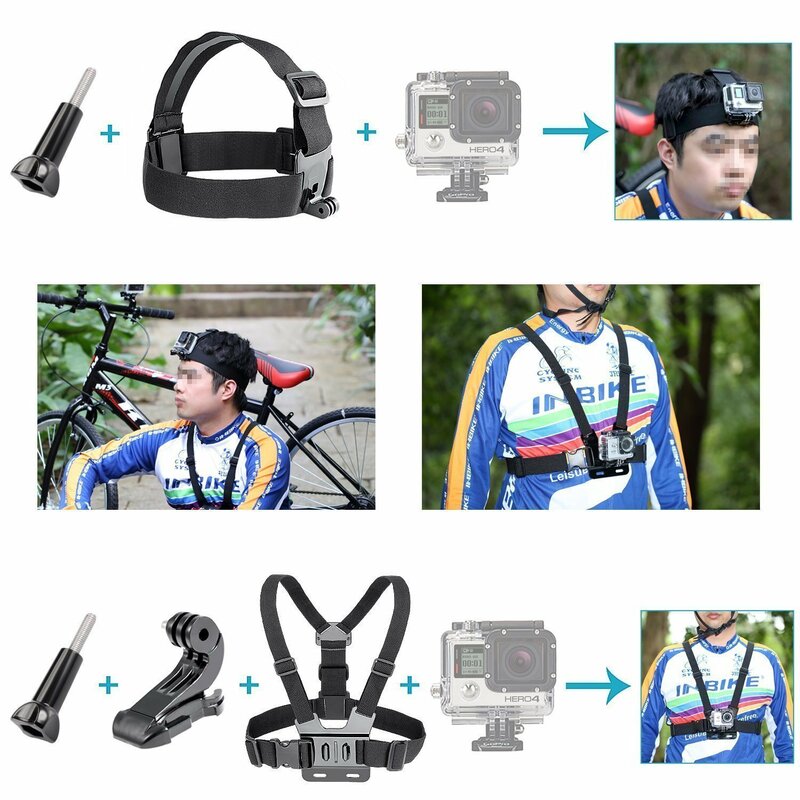 Head Strap : An awesome mount to film Point Of View angle on your GoPro Hero 6 Hero fusion GoPro Hero 5 Hero Session GoPro Hero 4 Hero 3 Hero 2 Hero HD Hero + SJCAM SJ4000 SJ5000 SJ6000 & other action cameras, compatible with all sizes of GoPro cameras it can be adjusted according to your head size & needs letting you film exciting footage.